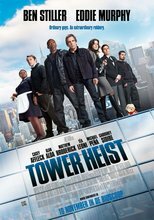 A team of average Joes conspire to rob a man's luxury penthouse apartment after falling victim to his Ponzi scheme. Arthur Shaw, a (broken link, Bernie Madoff)-esque Manhattan businessman, is arrested by FBI agents for operating a massive Ponzi scheme. When Josh Kovacs, building manager of the luxury apartment complex Shaw calls home, learns of this, he hatches a plot with several of the building's service workers and a criminally-inclined friend to rob Shaw of his assets, furious at him for having depleted their pension fund and determined to recoup their losses. Peter Van Wagner ... Marty Klein, Esq.